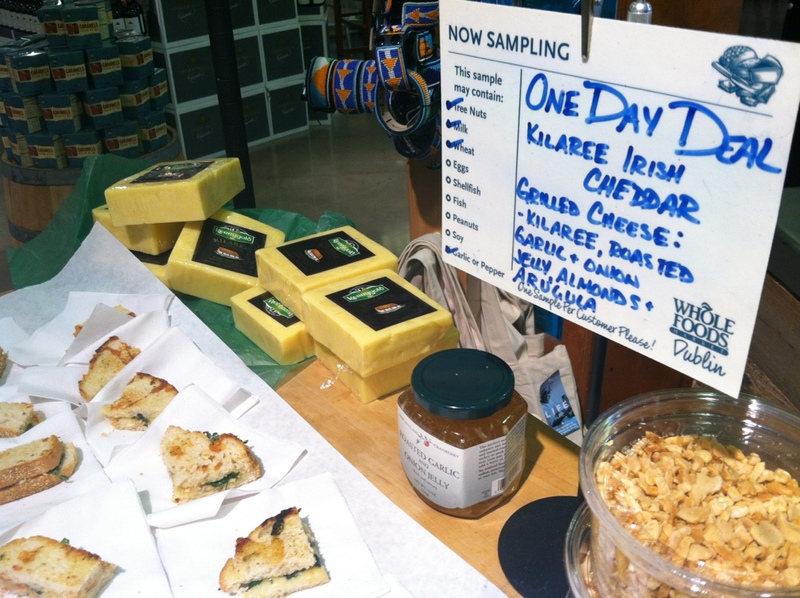 Irish cheddar grilled cheese with onion-garlic jelly, almonds, and arugula. Yum. Courtesy of Whole Foods.